Russian Prime Minister Dmitry Medvedev has signed an instruction on organizing a round-the-world expedition that would involve sailing ships affiliated with the Federal Agency for Fishery (Rosrybolovstvo) and would mark the 200th anniversary of the discovery of Antarctica by an expedition commanded by Faddei Bellinsgauzen and Mikhail Lazarev. The document is posted on the Russian Government's website. "To conduct a 2019-2020 round-the-world expedition involving the practice sailing ships Pallada, Sedov and Kruzenshtern and marking the 200th anniversary of the discovery of Antarctica by an expedition commanded by Faddei Bellinsgauzen and Mikhail Lazarev," the instruction reads in part. The expedition is to get underway in late 2019, with the Pallada sailing out from Vladivostok. 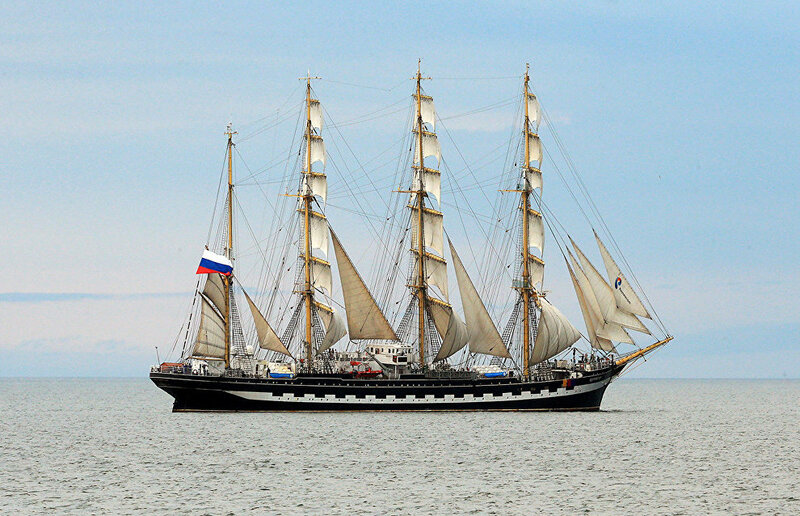 For their part, the barque Sedov and the barque Kruzenshtern will leave Kronstadt and Kaliningrad, respectively. The Sedov and the Pallada will circumnavigate the world, with the Kruzenshtern crossing the Atlantic. Russian sailors discovered most ports and locations, due to be visited by the three sailing ships, during various round-the-world trips. The three sailing ships are to link up in the Atlantic between the ports of Ushuaia, Argentina, and Cape Town, South Africa near the South Georgia Archipelago and the South Sandwich Islands, a British Overseas territory. This will be the shortest distance between the Pallada and Antarctica. In 1819, Russia launched the South Polar Expedition involving two Russian Navy sloops, namely, the Vostok commanded by Faddei Bellinsgauzen and the Mirny commanded by Mikhail Lazarev that slipped out from Kronstadt and discovered Antarctica on January 28, 1820. Both ships returned back to Kronstadt in 1821. Expedition members also discovered 29 islands and one coral reef, with Russian sailors conducting oceanographic as well as other research projects.